Join us for Local Democracy Week, 9th to 15th October 2017 – an annual celebration of our local democracy. Local Democracy Week is a way of helping people to be more aware of, and more involved with, the issues that really matter in our local communities. We’re planning a week of events across Kirklees to help you learn more about local democracy. You’ve told us that you want more opportunities to get to know your local councillors and MPs. Local Democracy Week is one way that we can make this happen. It’s for everyone, and we want to hear your ideas about the kind of activities you’d like. Local organisations are very welcome to get involved. 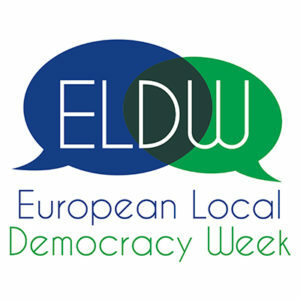 If you’d like to run a Local Democracy Week event of your own, we can help you to promote it. During the week, you’ll get a chance to ask questions of our local decision-makers, or learn more about democracy through talks and debates. Young citizens will have the opportunity to explore the meaning and value of local democracy through visits and activities. There will be activities for Kirklees Council staff, schools and councillors, alongside public events. We welcome fresh ideas for local democracy events and activities. Please email us at: kirkleesdemocracy@gmail.com or tweet us using #kirkdemocracy if you’ve got something to share. We’d love to hear your ideas. We think this fits in well with the aims of the Kirklees Democracy Commission – we’ve made a commitment to grow a stronger local democracy here in Kirklees, from the ground up. We hope you’ll want to be a part of it.